Trijicon is out, and Magpul is in (as lead sponsor), so the much-ballyhooed NRA World Shooting Championship (WSC) will continue — at least for one more season. Held at the Peacemaker Nat’l Training Center in West Virginia, the inaugural 2014 “World Shooting Championship” left some folks shaking their heads after match directors made a few puzzling rule changes on the fly. 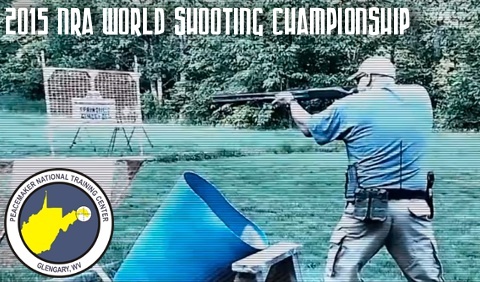 In addition, it was hard to call last year’s NRA event a true “World Championship”. In 2014, almost all the WSC shooters were American, and, what’s more, a real ISSF World Championship was staged at the very same time last year in Granada, Spain. That important ISSF event in Spain had shooters from 40+ countries and many Olympic medalists. Nonetheless, we’ll see more WSC action this fall. The 2015 NRA World Shooting Championship will be held September 24 – 26, 2015 at Peacemaker in WV. This will once again be a “big money” event, with a $200,000 prize table and $50,000 in cash awards. With a quarter-million dollars worth of cash and hardware prizes up for grabs, this is probably the richest shooting event in the world. And, as before, the match organizers will provide all the guns and all the ammo. Competitors at the 2015 NRA World Shooting Championship will compete in three divisions: Pro, Amateur, and Junior. The event will feature twelve (12) stages drawing from a variety of firearm disciplines, such as Cowboy Action, F-Class, and Smallbore standing. Share the post "NRA World Shooting Championship Revisited…"
Here’s the best use of a convention center we’ve seen yet, thanks to the CMP. A section of the Phoenix Convention Center was transformed into an indoor shooting range for the 2015 JROTC Service Championship. This week (February 19-21), approximately 231 JROTC cadets will compete in Phoenix utilizing the CMP “Mobile Range”. This is a complete 60-station air rifle range that can be trucked from venue to venue and set up in a few hours. That’s pretty slick. Concurrently with the Phoenix event, USMC and NAVY JROTC cadets will be competing in Anniston, Alabama. Results from Phoenix and Anniston will be posted at on the CMP Competition Tracker webpage. 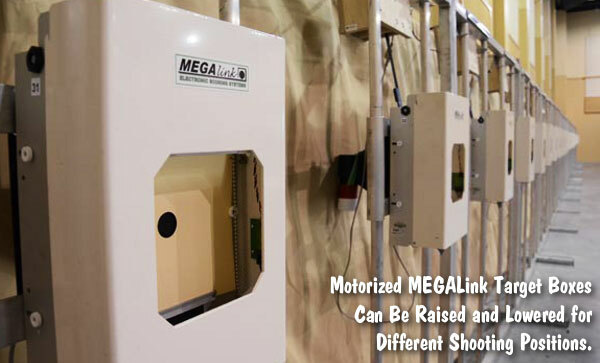 The CMP’s state-of-the art, mobile air gun range boasts 60 electronic MEGAlink targets produced in Norway. MEGAlink is the same target system used at CMP North and South stationary air ranges. The MEGAlink target “boxes” are each connected to a lift system than can raise and lower the targets for 3-position shooting. All of the components are designed so that the range can be quickly assembled by 3-4 workers. A large trailer can haul all 60 targets plus all the related monitors, computers, tables, chairs, and hardware in one load-out. 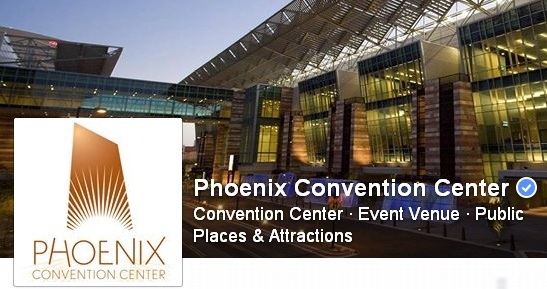 Share the post "Phoenix Convention Center Transformed into Shooting Range"
Man does not live by long-guns alone. 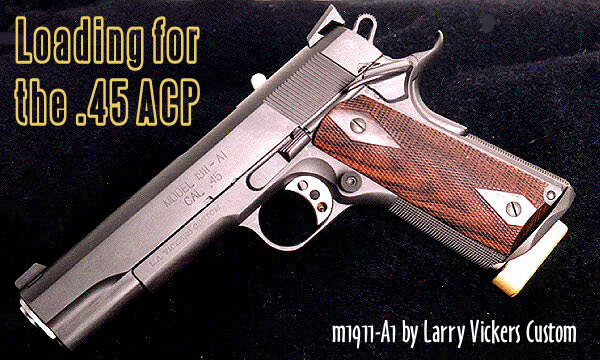 We know that many of our readers own .45 ACP handguns and load for this extremely accurate “classic” cartridge. When selecting a powder for the .45 ACP, there are many good options. All the major powder manufacturers make propellants with appropriate density and burn rate characteristics for the .45 ACP. Popular powder choices include: AA #5 (Accurate Powder); Bullseye (Alliant); Clays, HP-38, and Titegroup (Hodgdon); VV N310, N320, N340 (Vihtavuori); and WW 231 and WST (Winchester). 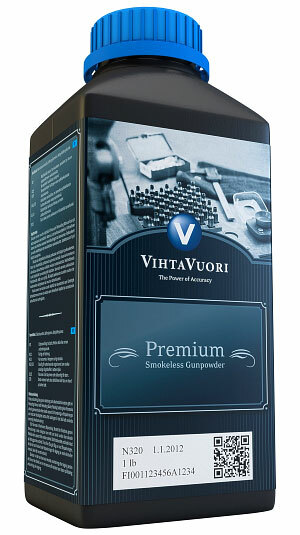 We’ve tried these powders in a variety of .45 ACP handguns. When we consider the factors that make for a good pistol powder, we think N320 is one of the best available propellants for the .45 ACP. Vihtavuori N320 is very accurate, it meters well, and it burns clean, with minimal smoke and flash. If you haven’t tried VV N320 yet, you should. This Editor has personally tried out eight or more different powders for the .45 ACP. Bullseye works but it is very dirty (both smoke out the barrel and sooty powder fouling on case). Though it otherwise burns clean, Titegroup leaves a singular (and nasty) high-temp flame streak on your brass that is hard to remove. AA #5 is a good choice for progressive press newbies as you use more powder so a double charge will (usually) be obvious. I like AA #5 but N320 was more accurate. Clays burns clean but some powder measures struggle with flake powders like this. WW 231 offered excellent accuracy and metered well, but it kicked out sparks with little pieces of debris that would hit me in the face. Who wants that? I personally tried all the powders listed above with lead, plated, and jacketed bullets. After testing for accuracy, consistency, and ease of metering, I selected VV N320 as the best overall performer. 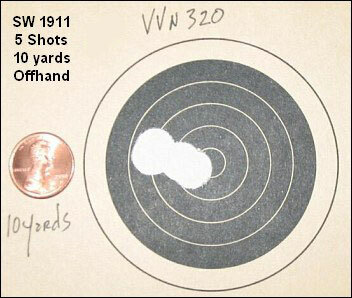 No powder tested was more accurate (WW 231 was equally accurate). Meters very well in all kinds of powder measures. Produces very little smoke from muzzle. Does not put nasty burn streak on brass like Tite-Group does. Low Flash — you don’t get particles and sparks flying out like WW 231. Cases come out from gun very clean — so you can tumble less often. This Editor owns a full-size, all-stainless S&W 1911. After trying numerous powders, I found VV N320 delivered the best combination of accuracy, easy metering, consistency, clean burning qualities, and low muzzle flash. My gun has proven exceptionally accurate using N320 with bullets from 180 grains to 230 grains — it will shoot as accurately as some expensive customs I’ve tried. At right is 5-round group I shot offhand at 10 yards with my 5″ S&W 1911. The bullet hole edges are sharp because I was using semi-wad-cutters. Rounds were loaded with Vihtavuori N320 and 200-grain SWCs from Precision Bullets in Texas. Share the post "Finnish Magic for .45 ACP Pistols — Vihtavuori N320"